Saturday morning: the working week is over, the body is recovering, there is time to lie in bed past the usual alarm clock, and breathe. What better way to embrace this day of leisure than to start it with good coffee, good food, and being outdoors? The Hank Marvin Market (Cockney rhyming slang for 'starving') is a weekly Saturday market, held in St Kilda East's Alma Park since 2015, off Dandenong Road. The roughly forty boutique traders bring vibrant street food, fresh produce, fine delicacies, local crafts, and, most importantly, incredible coffee. The stalls and trailers are arranged in a large circle in an open part of the park, near the oval and play equipment, and in the centre is bench seating and tables. The market is uncovered, save for the picturesque trees bordering the park, but is open rain or shine, with blankets provided during the colder months. 9am to 3pm are the opening hours, but if you arrive a few minutes earlier or later, the local traders will happily accommodate you if they're able to. The market is a popular meeting place for south- and north-siders, humans and canines. The dog count is always high, and it's a very kid-friendly market. It's perfect for breakfast, brunch, lunch, or drunch(? ), and there are often a few runners and cyclists ending their exercise with some Hank Marvin food and drink. Oh, and there is alcohol: craft beers, cider, mulled wine; drink here or takeaway. The traders rotate reasonably frequently, which results in a fresh, new feel each weekend, but can also result in heartbreak. I still yearn for a Saturday morning 5 & Dime bagel, but alas. With the market set to remain indefinitely, however, this is a first in demonstrating to Melburnians that food parks can operate all-year, year-to-year, in bringing a variety of fresh, seasonal, and local foods to the area. You can always count on a strong mix of fine produce, street food, drinks and artisanal crafts and gifts. Given the constant rotation and changes, Hank Marvin are adept at using Instagram, Twitter and Facebook on the Friday prior to update locals which stalls and traders will be at Hank Marvin on the Saturday. With spring bringing some nice weather (in theory), Saturday morning Hank Marvin is an excellent start to a weekend. There are a number of nice areas around Alma Market to venture to before or after, including Chapel Street, St Kilda, the leafy suburbs of Balaclava, Windsor, and Prahran, or simply play on the adventure playground at Alma Park, which includes a flying fox! Foot, Bike, Skate - the market is a short walk from St Kilda East, Prahran, Windsor and Balaclava suburbs. 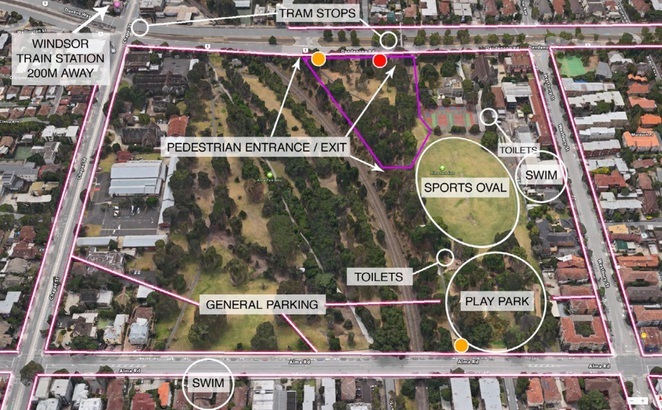 Train - Balaclava and Windsor stations are roughly equidistant on either side of Alma Park. Car - Parking is available on the north and south side of Dandenong Road between Chapel Street and Hotham Road. Great article, Alexander - looks like a very pretty vibe-y sort of market! Welcome to Weekend Notes. I like the concept of providing blankets on a cool day.